This post is dedicated to a cousin of mine, who asked me for advice on simple holiday decorating. A busy, single mom to three kids, she was looking for guidance on how to create an attractive, traditional look inspired by nature, and on a budget. Others have asked me for similar advice; there’s so much to share, and it’s easier than you think, so here we go! 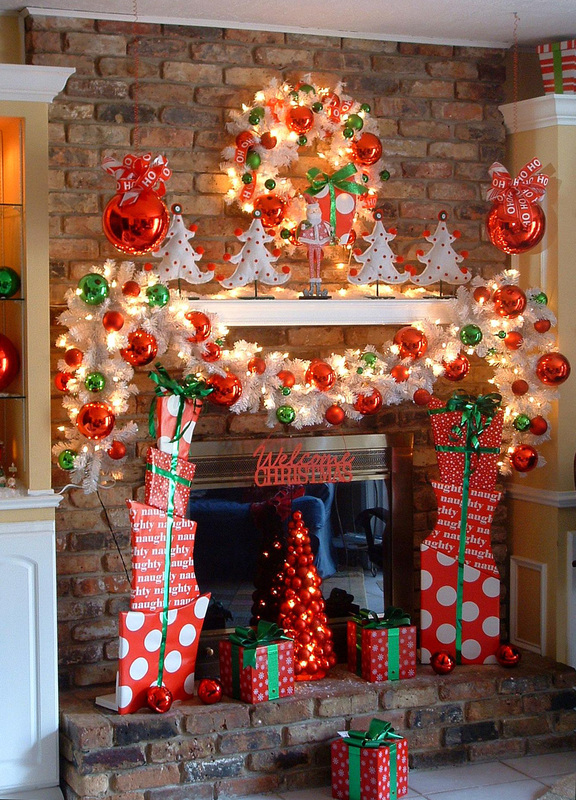 First off… Decorating, especially seasonal decorating, is VERY personal. 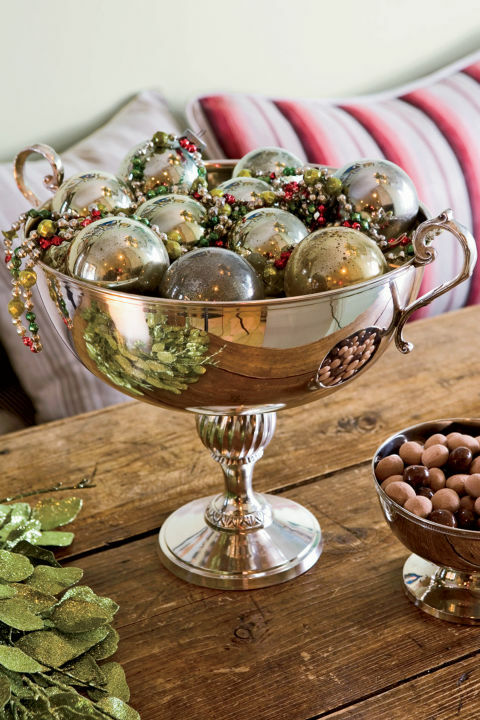 Because Christmas comes with a lot of nostalgia, glitter and kitsch, we happily extend the boundaries of playfulness in our homes to include knick-knacks and baubles that we would probably never consider at any other time of the year. 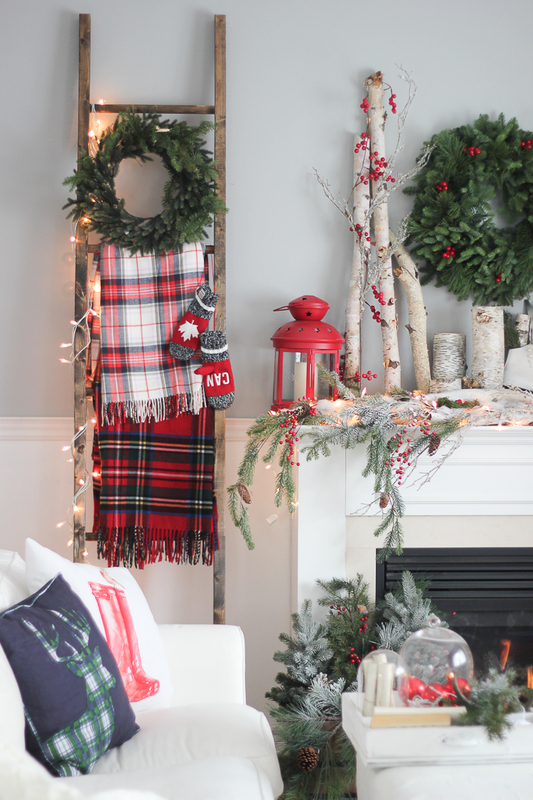 If you think the Christmas decor in ^ this ^ photo (above) is all sorts of sophisticated, this blog post isn’t for you. Close it out NOW. Seriously. Or else prepare to read on with a very thick skin! Because I will never encourage you to decorate like this, ever. This is a cross between Dr. Seuss and a nightmare. And since we do not reside in Who-ville, I’m here to offer ideas that are classic and achievable. And Grinch-free. I’m so glad we’ve gotten that out of the way! 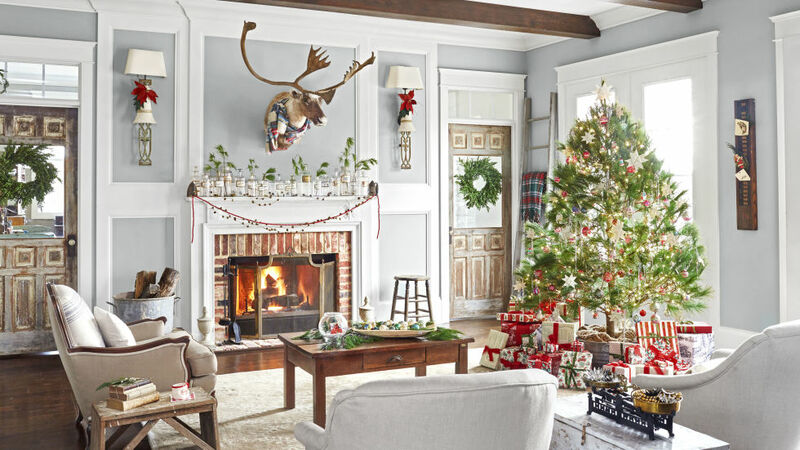 Quite simply, the easiest way to bring the coziness of Christmas into your home is by introducing quality materials, using natural elements, creating vignettes, and incorporating what you have. 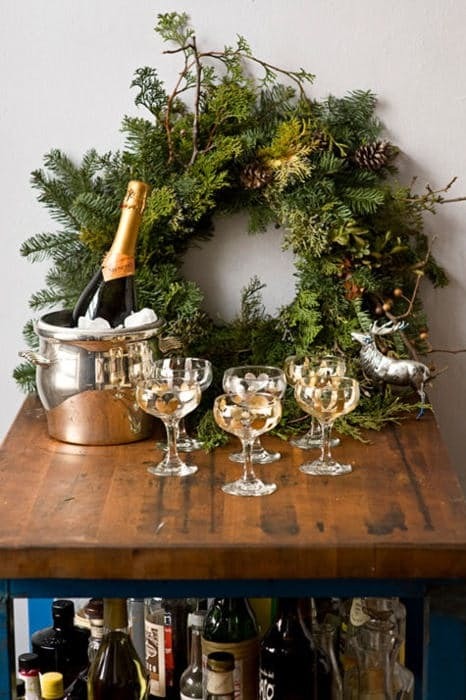 Be imaginative; use these tips as your guide, and hit your holiday refresh button. 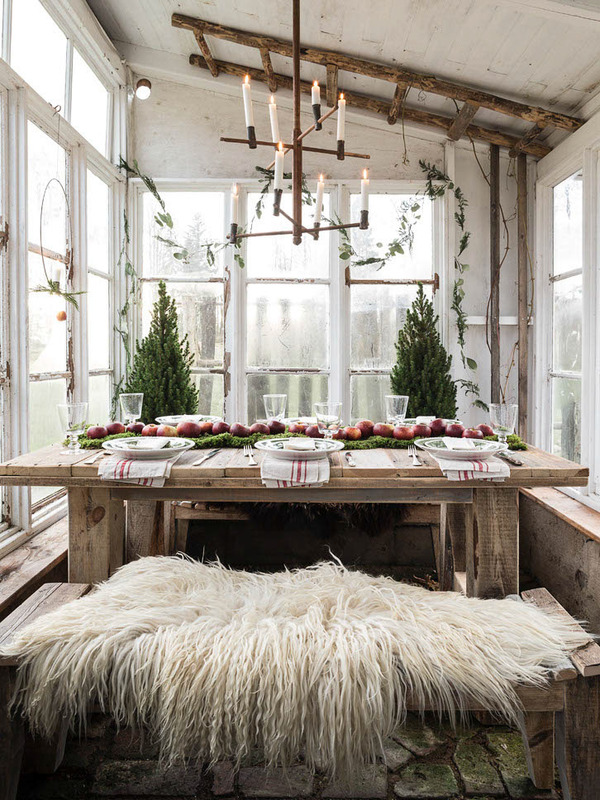 1) Bring the outdoors IN. 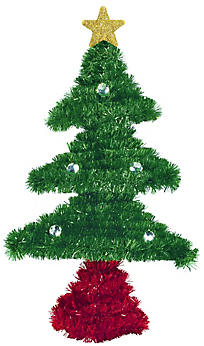 Evergreens have long been a symbol of hope and renewal during the holiday season, in both Christian and pagan religions. 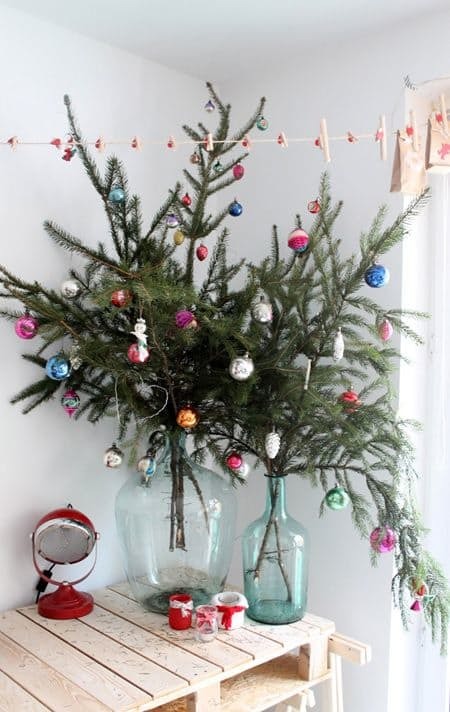 Tap into this tradition and choose real greenery whenever you can. Or, mix real and artificial for an equally authentic look. 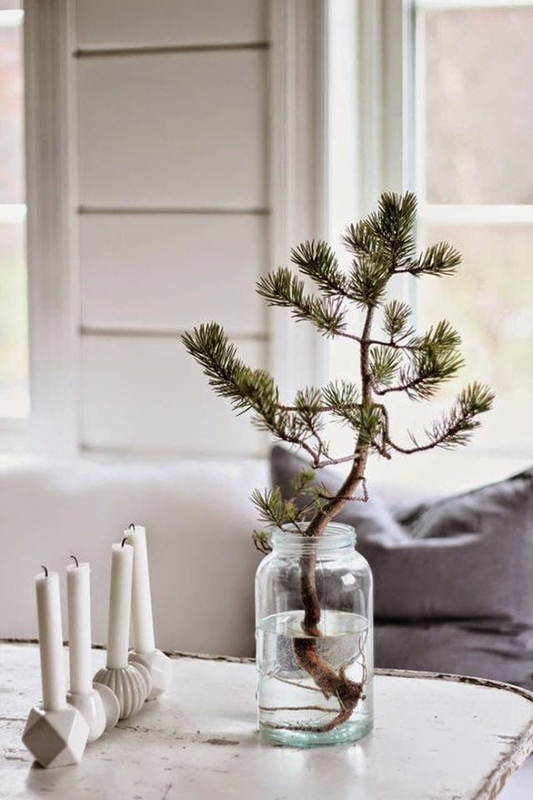 Boughs of pine, cedar, and fir can be found in nature, or at your local nursery or home improvement store for a very reasonable price. 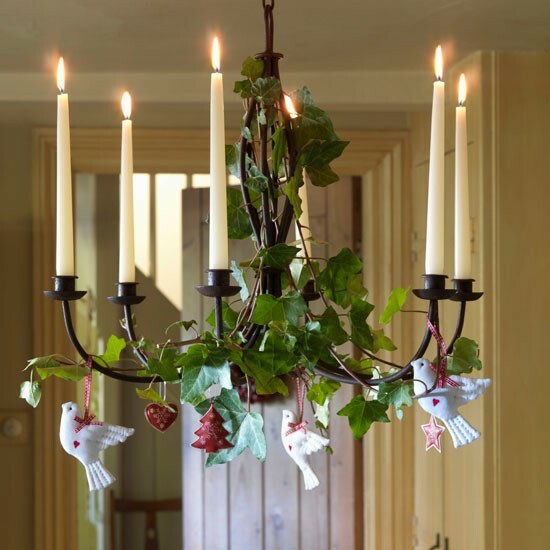 Even a bouquet of bare branches can be made beautiful when hung with tiny ornaments. 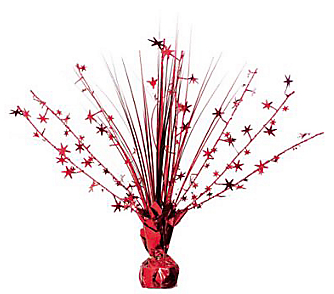 Tie varying lengths and varieties of branches together with wire to create a swag. 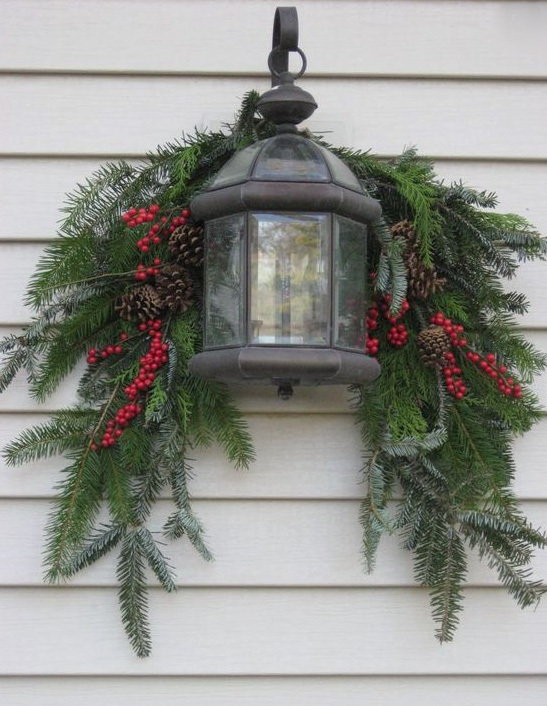 Swags are a nice alternative to a wreath, and even more versatile. 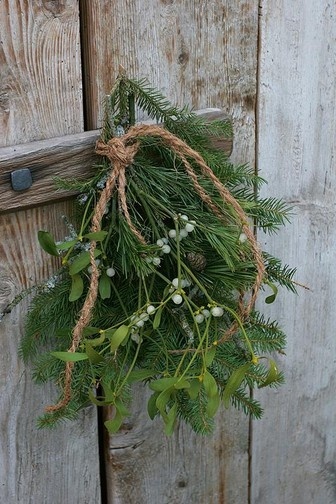 Add artificial berries and tartan ribbon for a traditional look, or twine, burlap, and sprigs for a modern country look. Hang them anywhere you want. Seriously. Anywhere. Cedar rope drapes beautifully and lasts a long time. 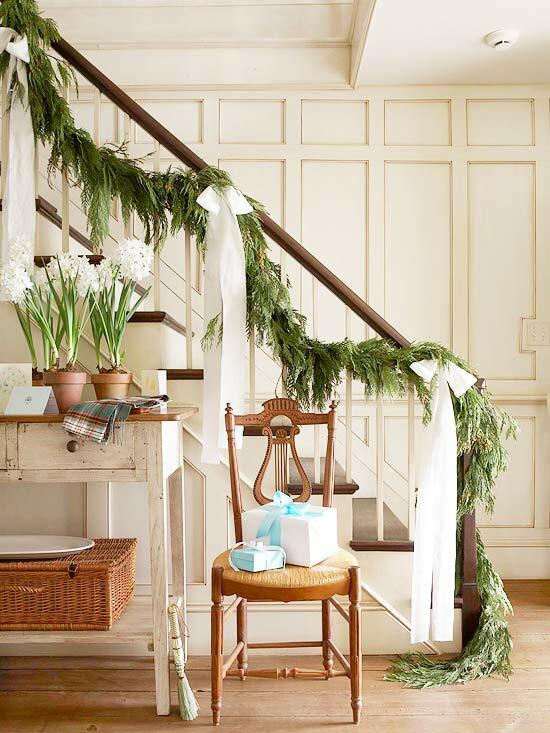 Avoid stiff, store-bought bows and try your hand with lengths of actual ribbon. It’s easier than you think… more on that in a bit! So many everyday items can transition into Christmas decorations, if we have the imagination to see them in a different way. 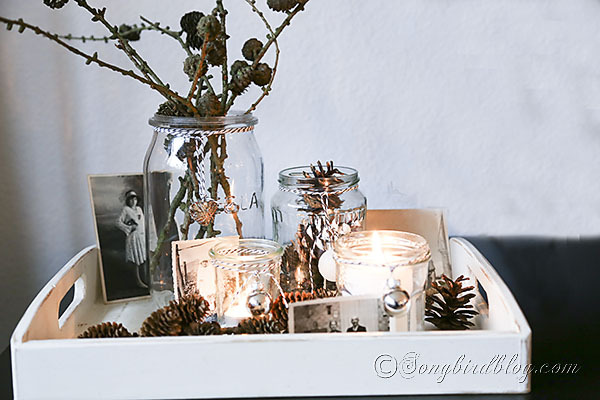 Baskets, candles, jars, chairs… all can be tied with ribbon and bedecked with greenery! 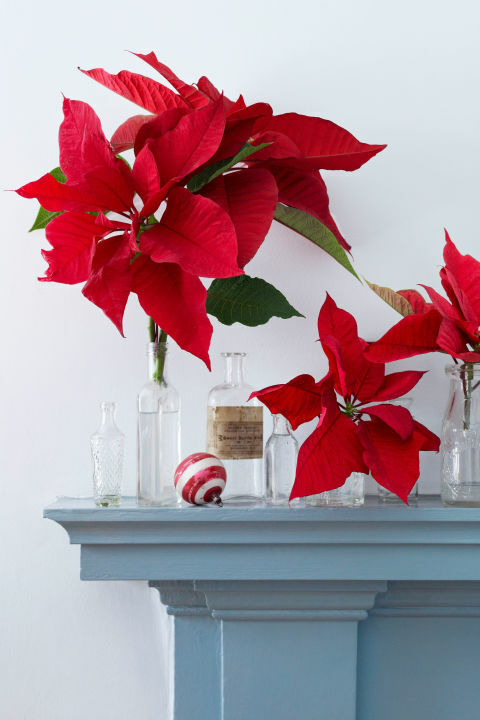 Create focal points with little vignettes that liven up a quiet corner and add a festive touch. Mitten stockings. A great use for estranged pairs where one has gone missing. 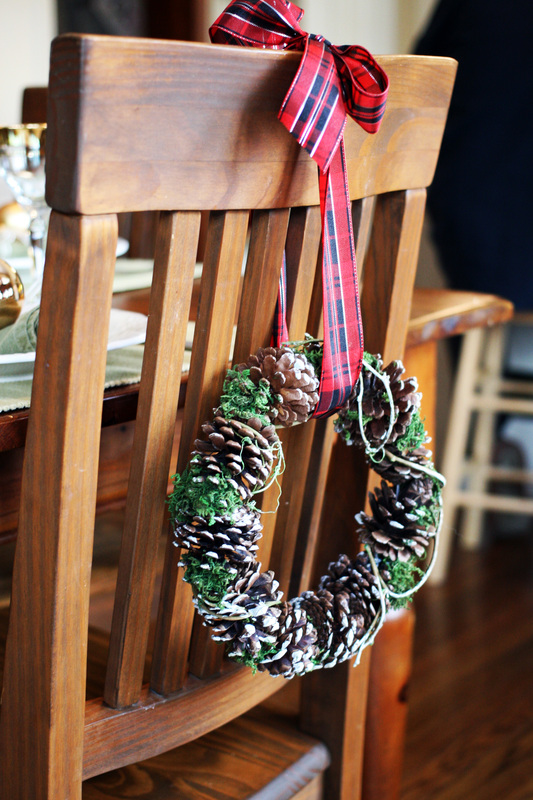 Chair backs are natural frames for wreaths and swags. Take advantage of this unexpected space. Candles are everything. And can be had for a song. 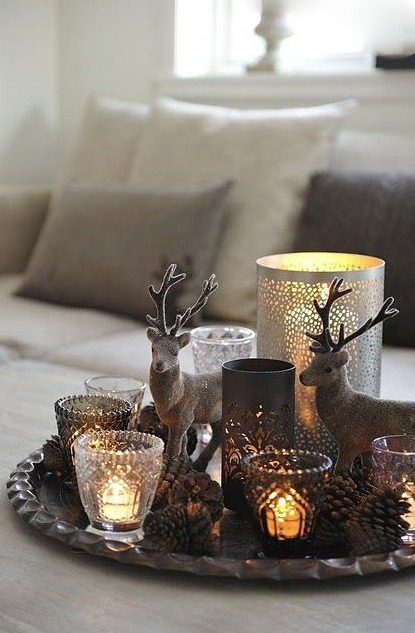 Nothing gives you more bang for your seasonal buck than candles. Try to use the real deal, if you can, and not the flameless ones. They never have the same effect, although I realize wax candles are not always practical. However, if your candles are in a safe vessel, and you remain in the room as they’re burning, you end up with maximum ambiance at minimal risk. So worth it. Also, pinecones. Pinecones for days. Hit up your local thrift shop for mismatched bowls, old bottles or jars, and silver-plate. And vintage ornaments. Put them together, and you have instant Christmas charm. Remember those evergreen branches we talked about? Put them in anything that holds water and group them together. 3) Invest in quality pieces, not dollar store items. While the discount store can supply some basics, every dollar spent on good-quality decorations or accessories is worth 20 bargain-basement trinkets. And they’ll last you a lot longer, too. Good materials are always the key to creating a classic and enduring look. You don’t have to spend a small fortune on Christmas decor, just choose where you spend your money wisely. 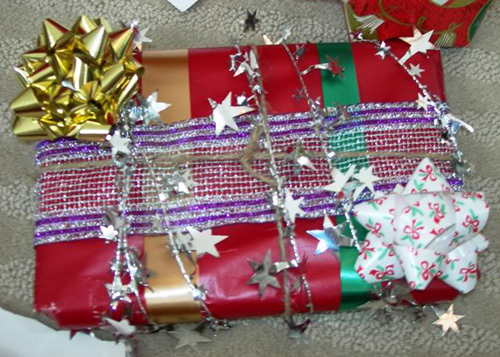 Consider treating yourself to a few basic craft supplies, such as wire, fabric ribbon, a glue gun. These will serve you much better in the long run than cheaply made novelty items, because you can use them to customize your decorations year after year. Doorknob hanger #1. Tacky ribbon, too many bells. Mass-produced and assembled in an overseas sweatshop. Doorknob hanger #2. 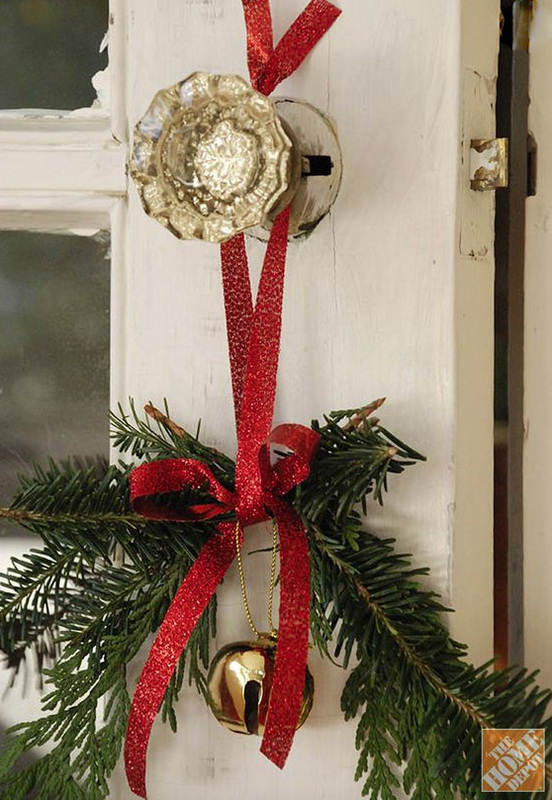 This is the easiest do-it-yourself project ever: Two small evergreen branches. 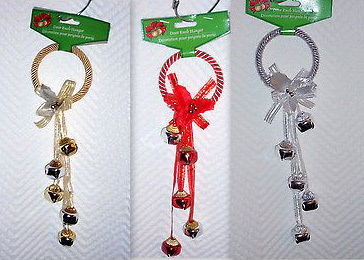 One jingle bell. Tie together with a simple length of ribbon. This would take you less time to put together than it would to drive to the dollar store and back, and it looks 100 times better. Bows. 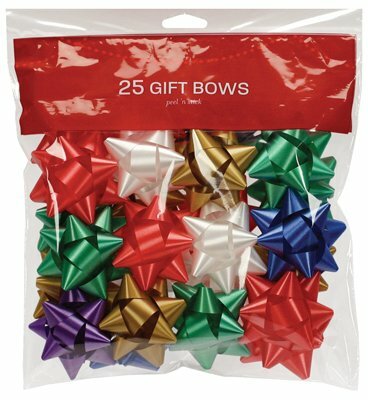 These machine-made bows have become a holiday staple. 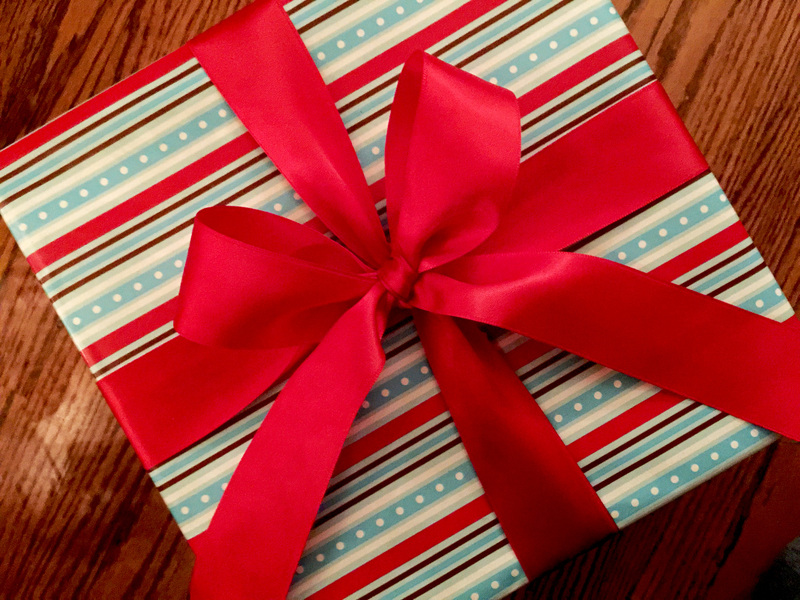 I get it… when it comes to gift-wrapping, they’re cheap and convenient. But, let’s face it; they’re also not very special-looking. Ribbon. A beautifully wrapped present is like a gift in itself. I highly recommend buying spooled ribbon, instead of pre-made bows. It may be more expensive at the time, but if you buy classic colours (ie., RED, which can be used all year long, for birthdays, Valentine’s Day, etc.) 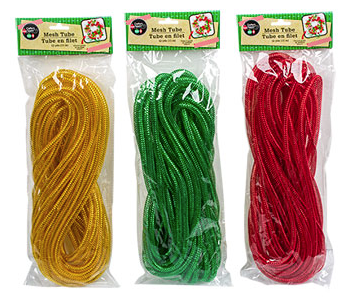 in 10- and 25-yard spools, it will last you longer and be so much more versatile. If you can tie a shoelace, you can make a bow, and the presentation has so much more personality and visual impact. Kraft paper and twine is another favourite combination of mine, especially when embellished with a sprig of greenery, a twig wreath, or tied with a glass bauble. (Just a few of my favourite things.) 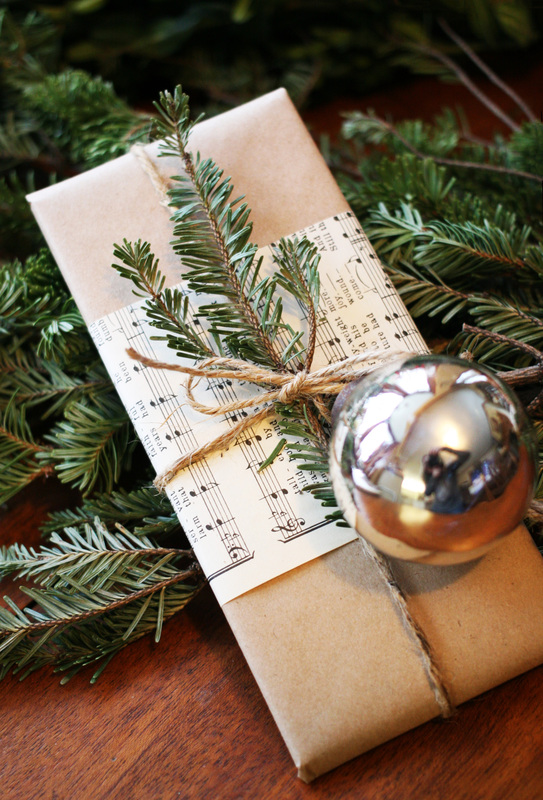 For added interest, I wrapped this particular gift with a layer of vintage sheet music. 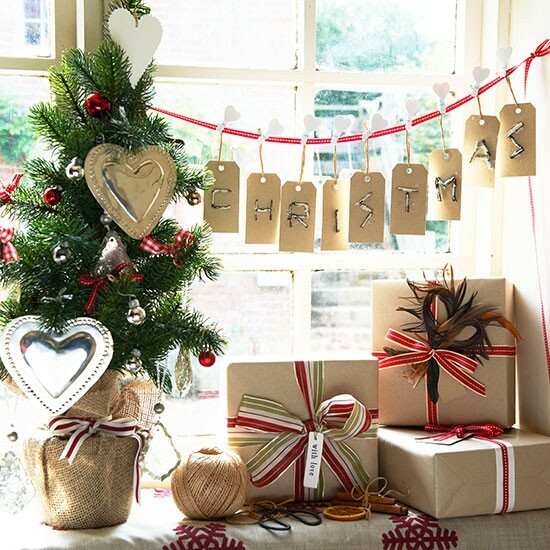 Kraft paper (or postal paper) is inexpensive, but thick, and doesn’t rip as easily as standard gift-wrap. It’s also the perfect canvas for any colour or pattern of ribbon, so you really can’t go wrong. … which brings me to something very important. 4) Make environmentally responsible choices. Let’s face it… the holidays are really just a mine-field of synthetic materials that aren’t doing our planet any favours. I have a thing about plastic. Not just at Christmas-time, either. Plastic always looks like a cheap imitation of the real thing. More importantly, it’s really bad for the environment. When it comes to buying ornaments and decorations for your home, please go with natural products instead of artificial ones. 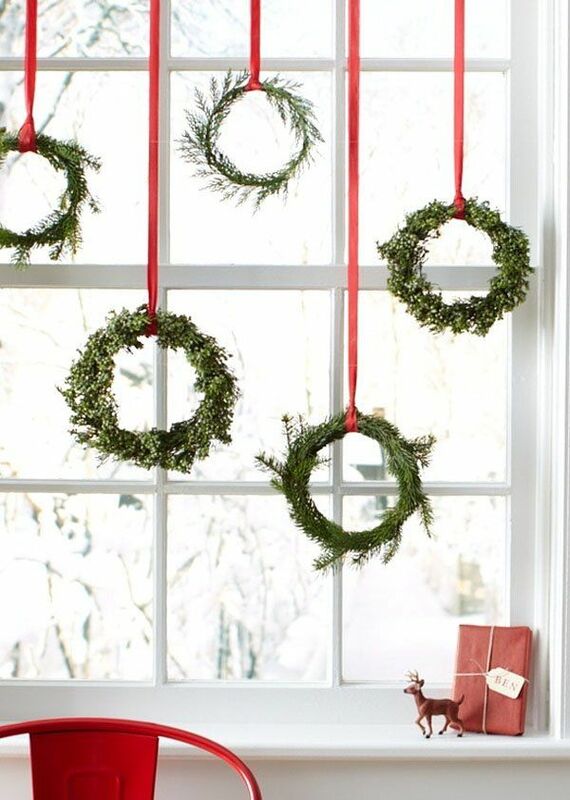 Choose real evergreen or twiggy wreaths over synthetic. Choose paper gift bags over frosted polypropylene ones. Choose glass balls over plastic or styrofoam. Mesh tubing. I don’t know what kind of decorating this stuff could possibly be used for, and I don’t want to know. 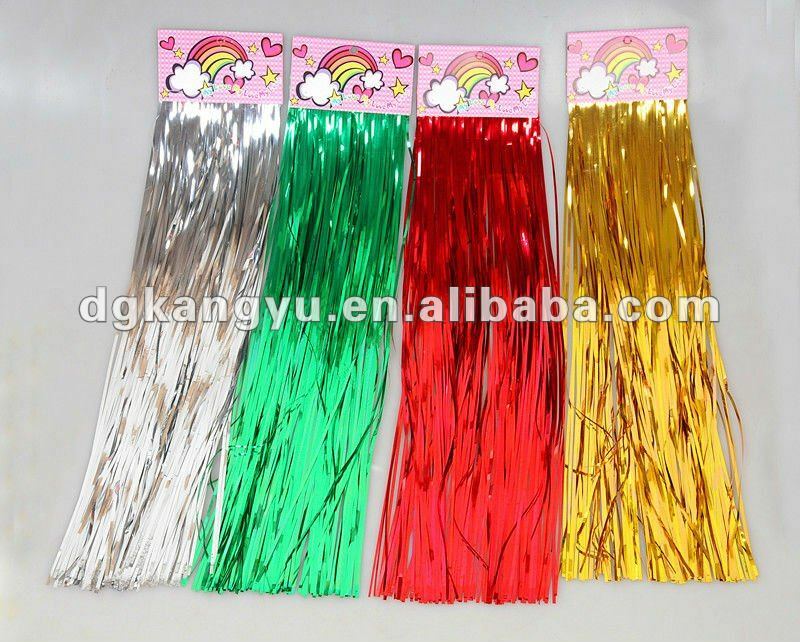 Tinsel garland. This stuff never looks attractive and it will likewise never be eco-friendly. I realize I may be making a few enemies, here. 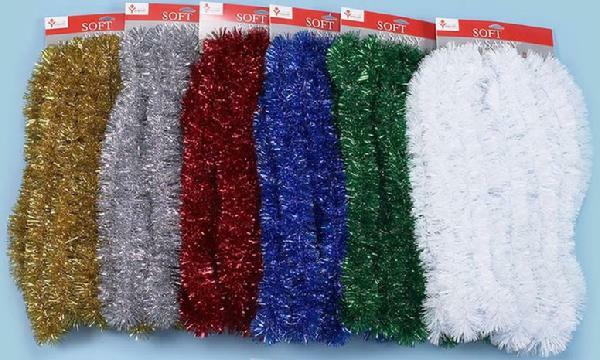 Some people are all about the tinsel garland. I am not one of them. 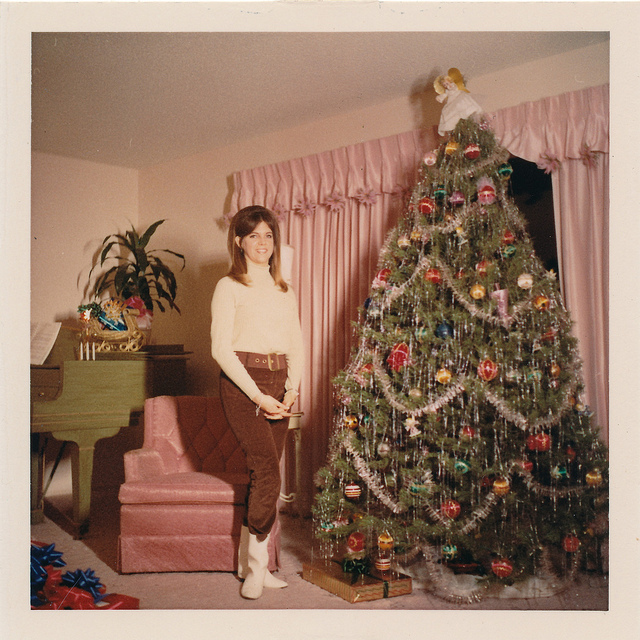 Basically, the only reason you should be using tinsel garland and icicles is if it’s 1972 and you have peppermint pink curtains and an avocado piano in your living room. Like this lady. Are you this lady? No, you are NOT. So, please pass on the mylar products. Your descendants will thank you. So will your pets. 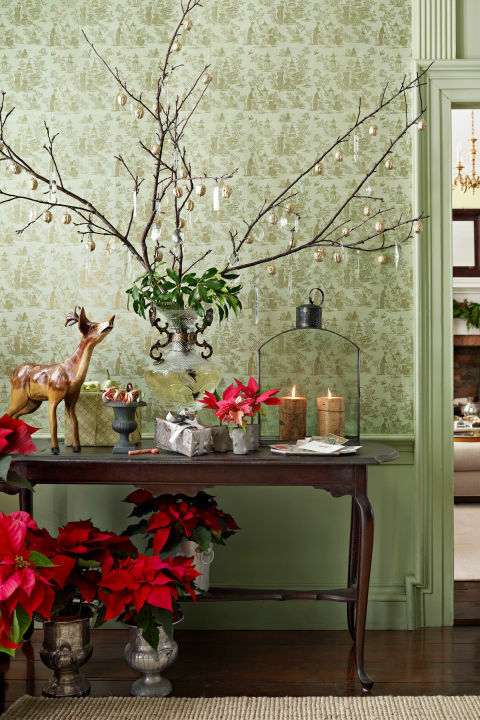 Seasonal decorating does not have to be expensive or high-maintenance to be effective and beautiful. 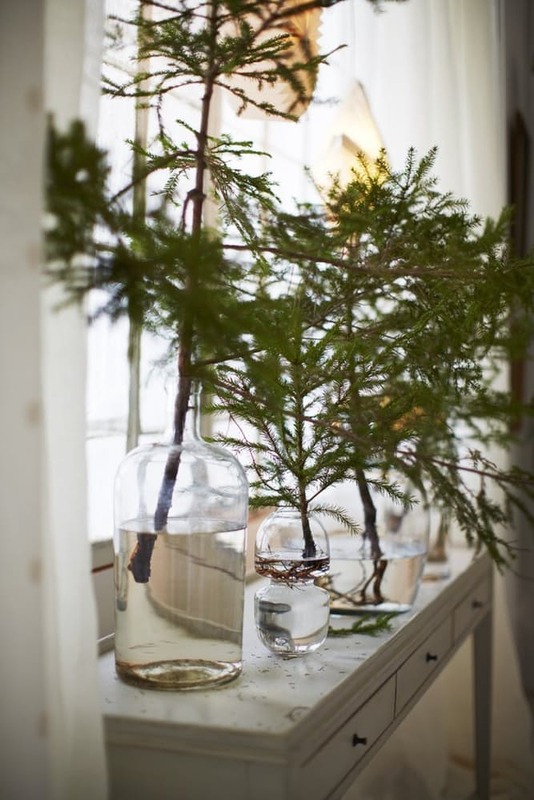 If you can combine natural elements with simple accessories currently in your home, but you’re already half-way there. Simple holiday elegance is easy to achieve by incorporating quality materials, a traditional palette, and fresh, yet classic designs. I’ll leave you with a few more photos for inspiration. You can do all of this yourself, I promise you. Great blog post full of wonderful ideas. I especially like the “mitten stockings.” What a fun idea. Beautiful ideas. Greenery is so simple and restful.